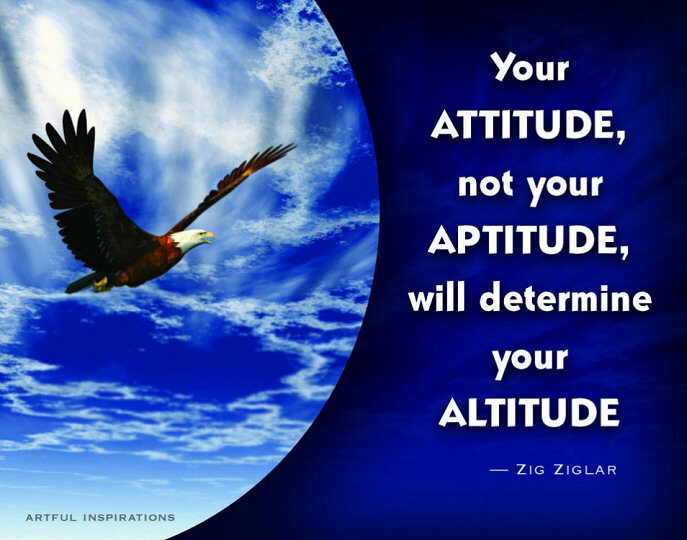 Attitude is Everything | Choose Your Energy: Change Your Life! Have you ever known someone who seemed to be born with all the advantages—money, status, intelligence, opportunity—but floundered and ricocheted through life in a constant state of frustration, lack and misery? Have you ever known someone who appeared to be born with a ton of limitations—poverty, abandonment, academic challenges, maybe even a few run-ins with the law—but transcended it all to live happily and gratefully, despite circumstances, becoming responsible, successful and widely respected? What was the difference between the two? Why did the one for whom you’d think gratitude and success should have been easy, never thrive? And the other, who could have found plenty of reasons to wallow in self-pity and limitation, do just the opposite? So what are the keys to fostering an optimistic attitude? It’s a construct I call “living in flow.” What is flow, and what does falling in love with yourself have to do with finding it? While you may study a more in-depth explanation in my book, Choose Your Energy: Change Your Life! (Hay House/Balboa Press 2013), here’s a quick summary. When you fuel all aspects of yourself with love, respect, curiosity, compassion, and gratitude, you begin living in flow. Your life becomes a fluid Journey to Wholeness grounded in who you are being, not what you are doing. Every breath, thought, word, and act—your very presence—fosters a generous, effortless, gracious life of flow filled with faith, hope, prosperity, peace, and joy. Faith: I am confident that love is the greatest power in the Universe. Hope: Universal love is always unfolding the highest good for all, in all, through all. Prosperity: My Universal Source is excellent, limitless, and reliable. Peace: I relax into all that was, is, and will be. Joy: Whatever my circumstances, I know who I am and Whose I am: a unique cocreative expression of the Divine. When living in flow, work, rest, and play all feel the same. Organic. Effortless. Force is not needed to accomplish anything; in fact, its use would be detrimental because force disrespects your deepest wisdom and greatest gift: your intuition. Your ability to experience flow in any moment, filling your life with faith, hope, prosperity, peace, and joy, is directly proportional to your ability to fuel yourself in that moment with love, respect, curiosity, compassion, and gratitude. That fuel allows you to realign your awareness with what I call the God’s-eye view, enhancing your perception and expanding your perspective until you know that, whatever may be happening at that moment, we are one and Universal love is always unfolding the highest good for all, in all, through all. These terms are not just five woo-woo, New Age words I pulled out of thin air because they sounded Zen and cool. They were revealed to me individually, real-time as I lived through the phases of my own dramatic and highly personal healing and transformation in the wake of burnout. Love: I nurture, encourage and delight myself in healthy ways. Respect: I honor my choices; I do the best I can with the love and light I have at the time. Curiosity: Instead of judging, I wonder why. Compassion: I acknowledge and value my feelings. Gratitude: I appreciate my life; everything is an opportunity. The formula for making these principles a way of life is simple to explain. In every situation, love yourself enough to pay attention to every aspect of your life. Respect everything you are experiencing—what you are thinking, feeling, deciding, saying, and doing. Determine whether the energy underneath is love or fear. If it’s love, you are probably on your authentic path. If it’s fear, demonstrate compassion for yourself. Foster gratitude by reminding yourself that everything is an opportunity. Then further neutralize the fear by bringing curiosity to bear. Explore every aspect of the situation, especially your internal landscape, and identify all of the opportunities available to you through this unique experience. As with any new skill, practice will help this way of being become a healthy new habit—your automatic response to every situation. In summary, figure out what you want, understand whether it’s fueled by fear, transform any fear into love, set your intention, and then get ready to receive it, because it will happen. Becoming conscious and claiming your personal power to neutralize the self-sabotaging, judgmental voice in your head will yield immeasurable benefits. You will literally be able to redefine your world, because there is no absolute reality, only the story you tell yourself about what is happening and what it means. Every being, encounter, and experience that comes my way is filtered through a conglomeration of lenses that results in my unique perceptions. These lenses cause me to see my world in a certain way. They are influenced by my unique and complex mix of myriad factors: the family, cultural, and societal norms I was taught; my physical and mental abilities; my personality and natural talents; my birth order; the patterns I deduced from all my past experiences; and the assumptions I’ve presumed concerning what’s likely and possible in the future. I create my reality in each moment by choosing what I will think, believe, feel, and do based on what my lenses allow. I can choose to look through the lens of fear and remain weighed down and self-imprisoned, or I can choose the lens of love and embrace a life of freedom and flow. No outside event or situation, no other person can dictate my attitude. Once you get the knack, you’re going to love the feeling of trading judging for curiosity. It’s not a forced march, a different set of rules you must follow to be a “better” person. It’s a gift of grace accepted freely and with gratitude, an honor and a privilege filled with joy and wonder. By discovering possibilities you never imagined, you open the door wide and go bounding through to endless opportunities. However unconscious the process may feel at the time, you are manifesting the world you choose to see and the life you choose to live. What perspective and attitude will you choose today? The only person controlling your life is you. Choose your energy and change your life! © Copyright 2014 DJW Life Coach LLC. All rights reserved. This entry was posted in All My Blog Posts, Curiosity, Respect & Compassion, Falling in Love With Yourself, Gratitude, Prosperity & Abundance and tagged Deborah Jane Wells, How to love myself, How to love yourself, What is abundance, What is compassion, What is curiosity, What is gratitude, What is prosperity, What is respect, What is self-love. Bookmark the permalink.